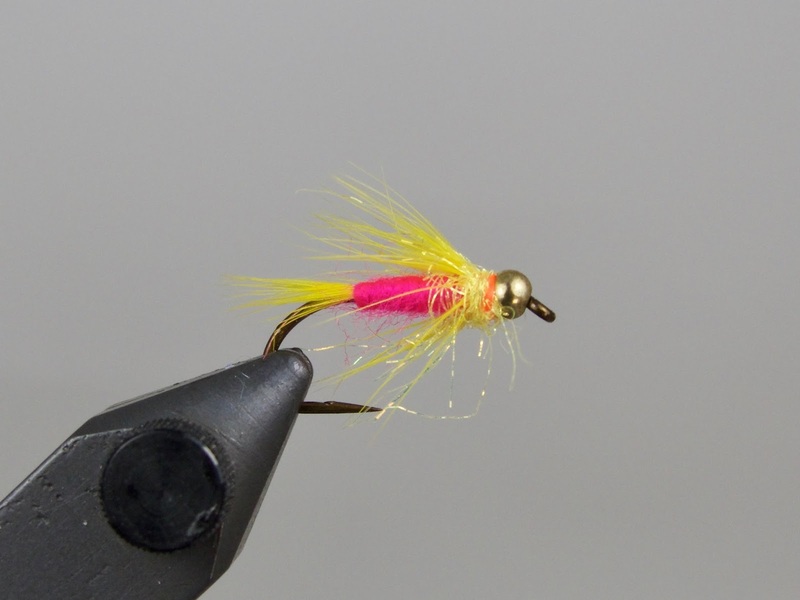 In Part I of this short series, I demonstrated how to tie my standard, bread and butter shad fly. 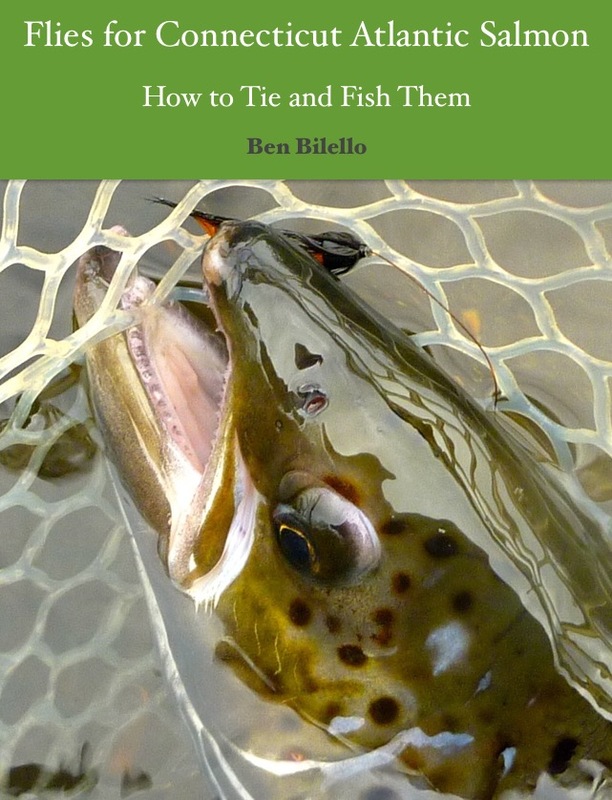 It is a simple, effective, and easy to tie pattern. In addition to that fly, I have a few other patterns I like to use. However, before I describe the others, let's take a look at some shard darts, the standard lure used for American shad fishing. Shad darts and willow leaf spoons are the most widely used lures for American shad fishing. 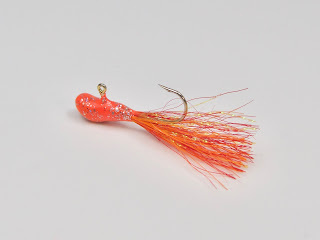 While willow leaves have no relation to flies, most darts involve a small degree of fly tying technique. 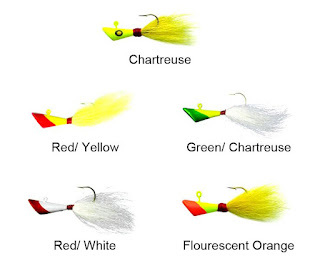 Many traditional darts have a contrasting color scheme which can be easily replicated when tying shad flies. Darts, most often made with lead, can vary greatly in weight, from 1/64 oz up to 3/4 oz or more. The smallest darts can be used with a fly rod. The largest darts can put a hole in someone's head! In addition to being a great fisherman, my friend Mike Taylor ties some excellent tin (non-toxic) shad darts. The dart pictured above is tied in form of a traditional dart, but with some modern touches, such as Krystal Flash and glitter paint. Mike's darts are well constructed and very durable. Most importantly, they are excellent fish catchers. Notice how Mike's darts are tied on light wire, gold jig hooks. Mike gave me a couple of his mini darts last season when I needed to get down quickly. 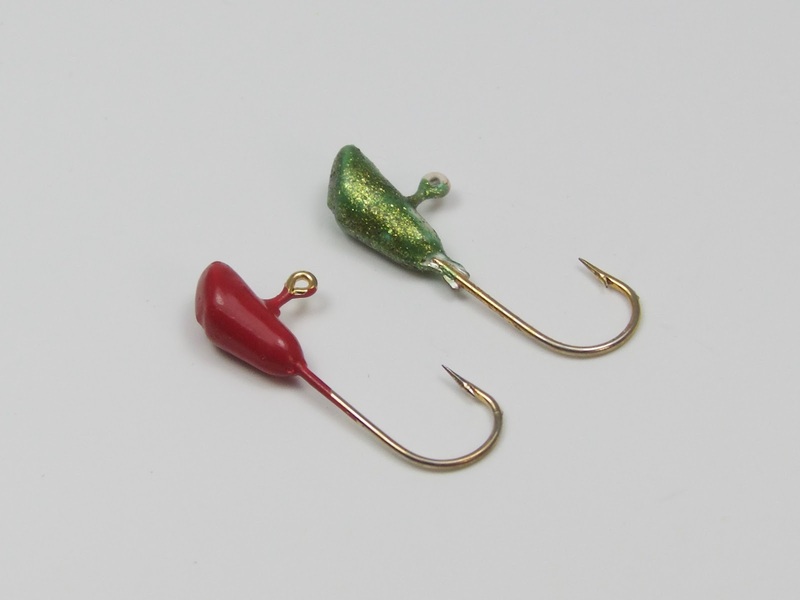 The red one (pictured above) caught a shad on its first cast. With no additional materials to slow down their descent, these mini darts are great sinkers. 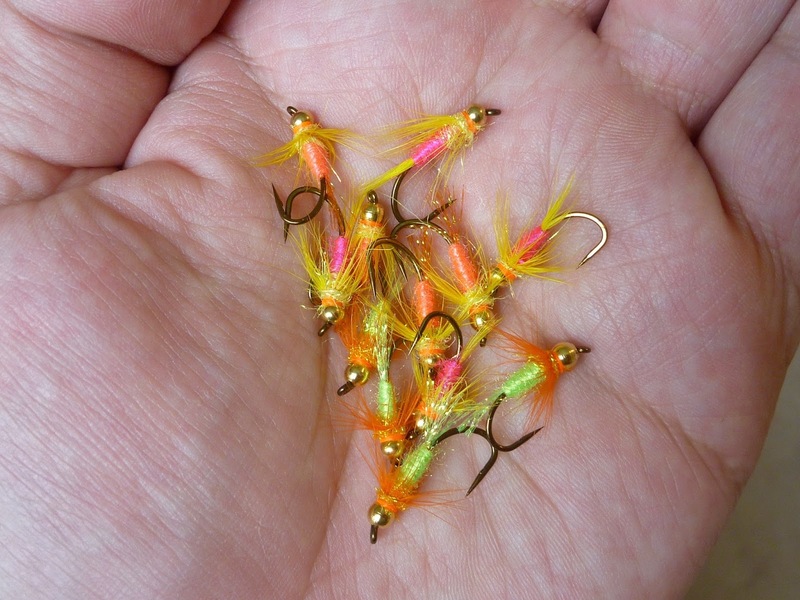 They also work well when shad nip at the back end of a traditional dart or long-tailed fly. This type of dart could easily be converted to a fly by using tungsten cone headsand tiny bit of material to hold it in place. A more esoteric option would be to use undressed bottle tubes, such as Shumakov Long Range or Skittle tubes. 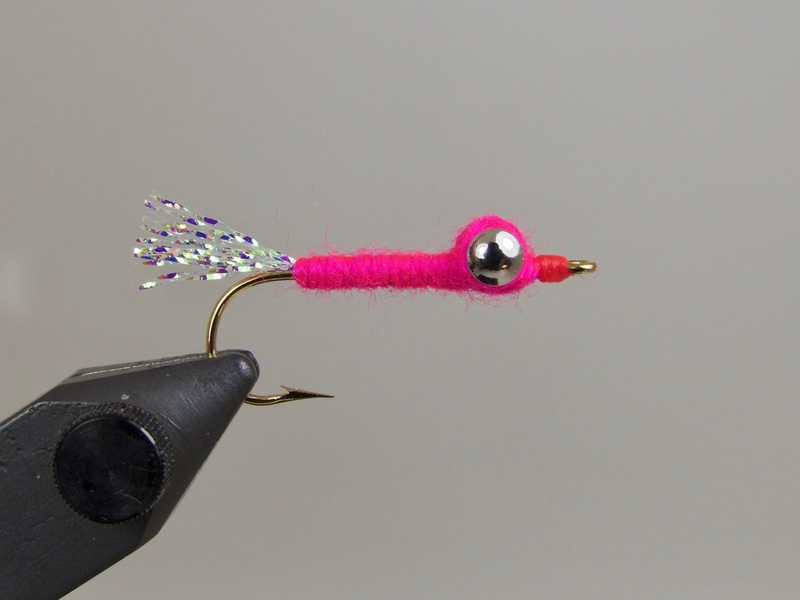 The pink fly above is my basic pattern. This was the pattern shown in last week's step-by-step tutorial. My favorite colors are fluorescent orange, pink, green, blue, and red. They can be tied in bulk in next to no time at all. Sometimes shad get "nippy," grabbing onto the rearmost part of a fly or dart. This happens often near the end of the run. It can also happen during severe weather/pressure changes. When shad refuse to commit, I switch to a pattern tied in the Atlantic salmon "low water" style. 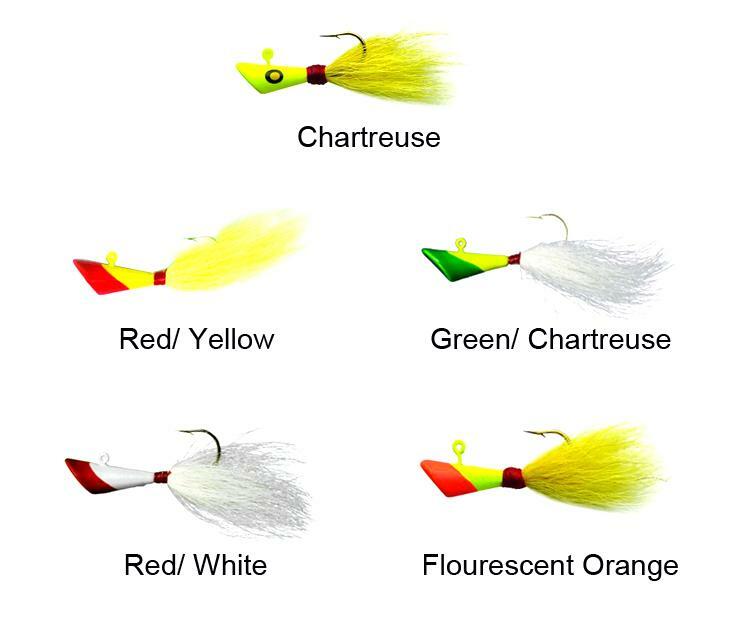 Basically, I tie a fly one size smaller than the hook I am using. In the picture above, I tied a size 6 fly on a a size 4 hook. I usually tie a short tail. In this case, the tail doesn't even extend past the bend of the hook. I haven't tried omitting the tail entirely but, if Mike's mini darts work, I don't see why a tailless fly would not. Another option is to trim the tail on flies and darts. If possible, cut the material back to a point shy of the hook bend. Even if the shad doesn't grab onto the whole fly, hopefully it will get the business end of the hook in its mouth. Sometimes shad absolutely cream a fly, sometimes you'll barely know a fish is on. Be aware of those little taps. When I want a tiny bit of extra weight, I use a fly coated with Solarez UV cured resin. Honestly, until I weighed the flies, I thought the resin added more weight than it actually does (refer to the table below). It's sort of like going up one size of brass eyes without actually going up one size. I'm not sure it makes that much of a difference. This fly takes about twice as long to tie as my standard pattern. 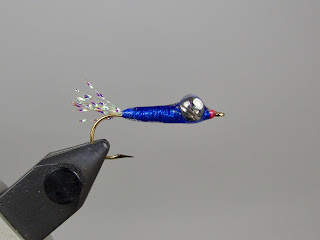 Despite the extra work, the blue version of this fly was an absolute killer for me last season, so now I'm afraid not to have some with me at all times. 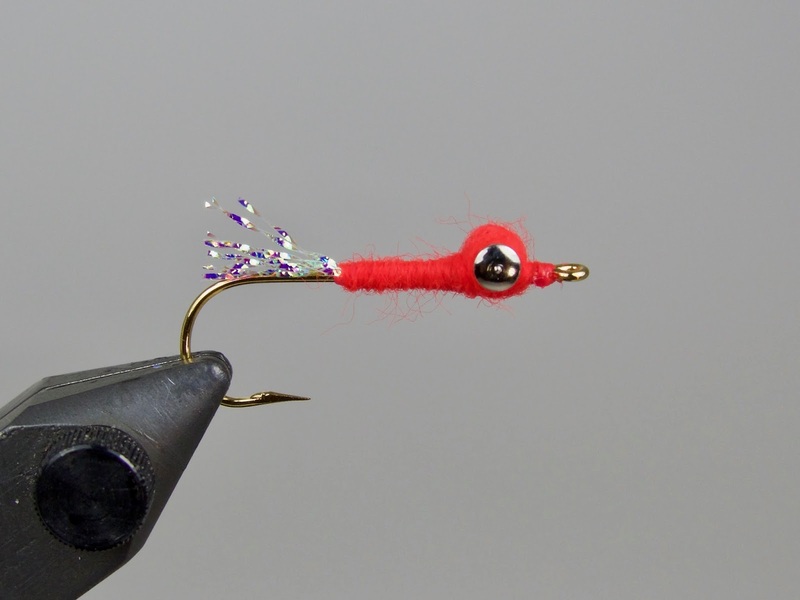 This is essentially the same fly as the one posted in last week's tutorial other than the body. Instead of wool yarn, I make a tapered underbody with Uni-Stretch, then wrap over it with Veevus holographic tinsel. The tinsel is slippery, so wrap carefully and under sufficient tension. After whip finishing, apply a coat of UV cured resin to the entire fly. I coat it all the way up to the head. I have been using sinking Scandi heads to get my flies down and to help keep them in the zone longer. It has worked really well so far. However, there are times when I prefer to fish with a single handed rod, floating line, and mono leader. 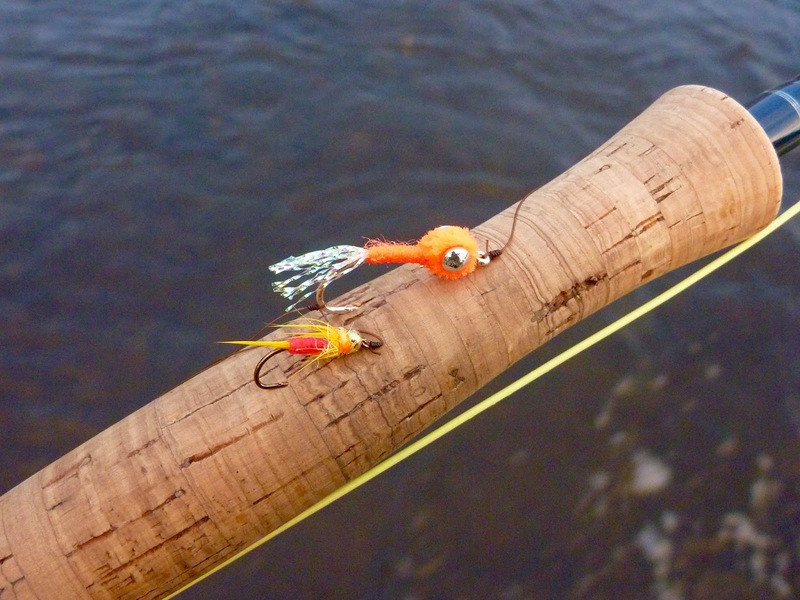 When I feel like I need more weight to get down with that rig, I use a long leader and two heavy flies. This has gotten me into the zone and into fish when one fly just wasn't cutting it. Tandem rigs are also good to see if the shad are keying in on one particular color or size of fly. I've had great success with the combo pictured above. I the larger fly seems to get the smaller fly into the strike zone. Some shad take the big fly, but most seem to grab the soft hackle. Sometimes I get curious about how much flies weigh, so I use my handy little scale. I weighed all the flies and darts featured in this post (with the exception of the Eagle Claw darts). I prefer to weigh in grams since it's easier to compare light weight flies than when using ounces. As stated above, I was surprised how little weight the UV cured resin added to the fly, though purely by coincidence, it moved proportionally with the increase in brass eye sizes. It also weighed slightly more than my heaviest dart, which also surprised me. Some flies were too light to register on my scale, but I don't concern myself with weight when I'm fishing flies that small. Besides the non-toxic wire used on the soft hackles, the only metal I used was brass. Tungsten would make for much heavier flies. Heavier flies might require using heavier tackle, which might make a 2-6 lb fish less fun to catch. Overall, I am happy with the size and weights of these flies, particularly when sinking lines, heads, and tips get the flies down well enough. I hope this post helps some of you. Shad are an often overlooked local gamefish. If you tied a fresh American shad and a comparably sized trout tail to tail, the shad would drown the trout in a heartbeat. 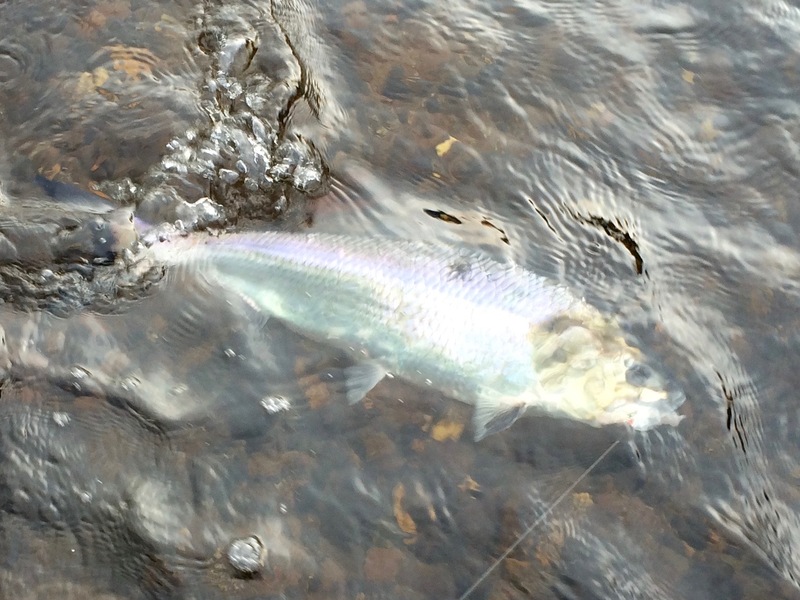 Fighting a big, tough roe shad can be very exciting, especially on appropriately sized fly tackle. Give it a shot this spring!